Leprosy (Hansen’s disease) is now known to be a chronic, infectious disease of slow onset. It usually affects peripheral nerves, and can now be medically cured simply and cheaply through multi-drug therapy (MDT). Eradication of the disease worldwide is now a realistic goal. However, the stigma associated with leprosy remains a major problem and those affected by leprosy are marginalised, and suffer continual psychological, as well as physical, distress (see note below). It often seems to be a disease of poverty, and those who contract leprosy are often tipped from poverty into extreme poverty very quickly. Leprosy can cause anaesthesia in hands, feet and eyes. Without the protection of pain, those affected by leprosy have difficulty in the daily routines of life and are unprotected from bodily damage that ordinarily would be avoided. Even when wounds are obvious, the demands of life for those trapped in poverty may not allow them the choice to avoid infection or further injury. Infection can lead to deformity and ulceration; and these lead to ostracism – resulting in further social and psychological damage. Increasing marginalisation raises the probability of more physical damage, and the unstoppable progress towards physical and social disaster accelerates. 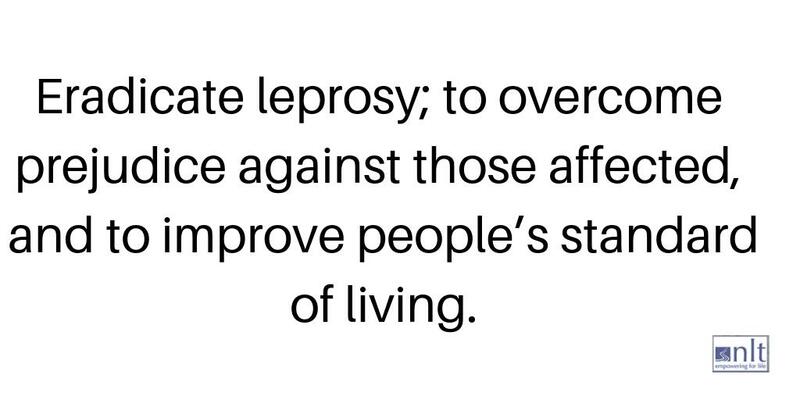 Hence, the stigma of leprosy increases social and economic disadvantage. If you browse some of the case studies on this website you will quickly see how this affects individual lives. In the predominantly Hindu culture of Nepal, leprosy is perceived in many village communities as a punishment for misdeeds in a former life. Villagers do not usually want to be associated with a person affected by leprosy in any way, even if the person affected is a spouse or family member. The many fears and misconceptions mean that those with early symptoms of leprosy, in particular those already disabled, are reluctant to come forward for diagnosis, making effective treatment more difficult. Higher rates of disability, and greater delays in starting treatment, are associated with high levels of stigma. A diagnosis of leprosy in a family can mean the loss of work, divorce or the end of marriage prospects, even for distant relatives. Therefore, those labelled as “having leprosy” are often sent away and denied a family role, in case the whole family is negatively affected. 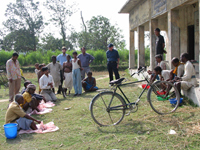 The entire (village) community considers that leprosy-affected people are a burden. Thus, leprosy stigma determines attitudes and actions that affect whole communities, not just the individual. It therefore breaks down the dignity, confidence and economic well being of thousands in Nepal, by damaging the aspirations and opportunities of those directly and indirectly affected by the disease. Quality of life tends to be evaluated by those in the West in terms of freedom from disease, hunger, suffering, ignorance, etc. However, this view is inappropriate in Nepal, where social exclusion is probably the greatest challenge. To be dislocated from one’s family or community in a Hindu society is a denial of any meaningful role in life. The underdeveloped population anticipates hunger, disease and death, but isolation is not expected and is regarded with dread because there are no social strategies to cope with it. In Hindu culture, in which there is no strong concept of ‘self’, an individual’s role is dependent in every way on the strong bonds that exist within the extended family, and the community – from which the family draws its identity. Although the values and structure of families vary, the concept of family is fundamental. Stigma is linked with the perception of deformity. Only if this perception is altered will discrimination and marginalisation be reduced. The primary cause of the fear and prejudice surrounding deformity is a lack of accurate information about the disease in rural communities. Those with the disease who respond to advice, take medication and are thus “cured” present no threat to the general population. However, ignorance continues to convince the fearful that those with characteristic deformities still have active leprosy. This fear does not respond to ‘quick-fix’ treatments, but can be overcome. More health education within communities is needed, based on a multidisciplinary approach and taking into account cultural beliefs. This needs to be backed up by treatment that concentrates on the Prevention of Impairment and Disability (POID). The term “cured” is thus sadly misleading, unless the issue of leprosy stigma is also tackled. Deformed individuals often remain unconvinced that they are healed, and acquiesce to the popular belief that they are still infectious. Even those with the disease but without deformities have been found to disassociate themselves from those with deformities. Stigma therefore causes many with active disease not to present for treatment or to default from treatment. Some researchers have suggested that the stigma associated with leprosy should be considered pathological.